A pipe elbow is one kind of pipe fittings which can change the liquid or gas flowing direction in a piping system. It is mainly used to connect two pipes,sometimes called a “quarter bend”. Elbows are split into three groups, which define the distance over which they change direction. Commonly, according to the distance of direction changing, the elbows are divided into the following three kinds: Short Radius Elbow （SR Elbow）, Long Radius Elbow （LR Elbow, Customized Radius Elbow. Based on the angle change of the elbow direction, the elbows also are divided:90 degree elbow, 45 degree elbow,180 degree elbow(return elbow), Elbows in any degree. China Pipe Elbow Manufacturer www.steeljrv.com supplies Pipe Elbows, Tubing Elbows, Elbow Pipe Fittings in all kinds of materials, such as carbon steel, stainless steel, alloy steel, etc. China Elbow Manufacturer www.steeljrv.com offers ASME B16.9 ASTM A403 WP304L SMLS 90 Degree LR Elbow, 14″, Sch60. China Elbow Manufacturer www.steeljrv.com offers ASTM B366 Hastelloy C276 45 Degree Elbow. China Concentric Reducer Manufacturer www.steeljrv.com offers ASTM B366 Inconel 625 SMLS Concentric Reducer, 6″ – 3″, SCH40. China Elbow Manufacturer www.steeljrv.com offers ASME B16.9 ASTM A403 WP304L 45 Degree Elbow, 4″, Sch10S. China Elbow Manufacturer www.steeljrv.com offers ASME B16.9 ASTM A403 WP316L 180 Degree LR Elbow, 4″, SCH80S. 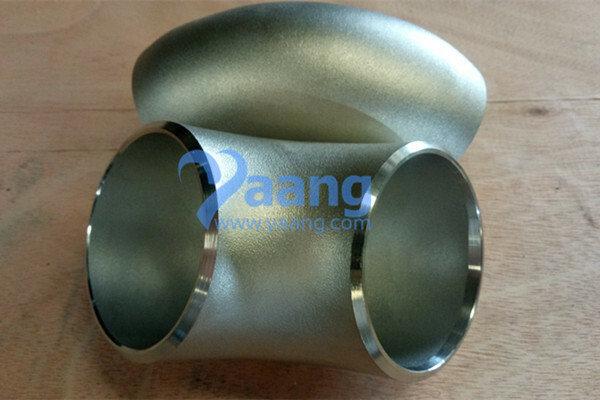 China Elbow Manufacturer www.steeljrv.com offers ASTM B366 Hastelloy C276 180 Degree Elbow. China Elbow Manufacturer www.steeljrv.com offers ASME B16.9 ASTM A403 WP316L 45DEG LR Elbow, DN200, Sch10S. China Elbow Manufacturer www.steeljrv.com offers ASME B16.9 ASTM A403 WP304L SMLS 90 Degree LR Elbow, 3″, Sch40.